Another big name has been caught up in the ongoing college basketball corruption trial, this time it's Duke incoming freshman Zion Williamson. According to Dan Wetzel of Yahoo Sports, a taped conversation between former Adidas employee Merl Code and Kansas assistant Kurtis Townsend discussed what it would take to land Williamson before he committed to the Blue Devils. "Hey, but between me and you, he asked about some stuff," Code was heard saying. "... I know what he's asking for. He's asking for opportunities from an occupational perspective, he's asking for cash in the pocket and he's asking for housing for him and his family." "If that's what it takes to get him here for 10 months," Townsend responded, "we're going to have to do it some way." The conversation was not allowed into evidence during the trial of Code, Adidas executive James Gatto and former agent Christian Dawkins. The power forward was one of the most high-profile recruits in years, ranked No. 5 overall in the 2018 class by 247Sports. He gained a near cult following thanks to his highlight-reel dunks in high school, and currently has 1.7 million followers on Instagram despite being a month away from his first college game. Before committing to Duke last October, he took an official visit to Kansas in September and Townsend was his lead recruiter along with head coach Bill Self, per 247Sports. While this doesn't prove Kansas offered any illegal benefits, or that Duke reached his demands, but it does raise question marks about the recruitment of a player who ended up in Durham. Blue Devils coach Mike Krzyzewski called the trial a "blip" on Monday, per Myron Medcalf of ESPN. "We haven't lost guys because someone cheated," he said. "I haven't paid attention to it because I haven't been affected by it." 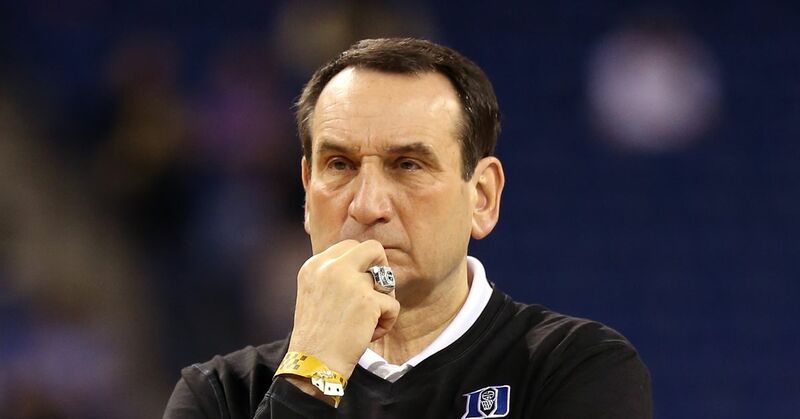 Even if Duke hasn't participated in this kind of behavior, Coach K would likely be interested to hear what other programs are discussing behind closed doors.